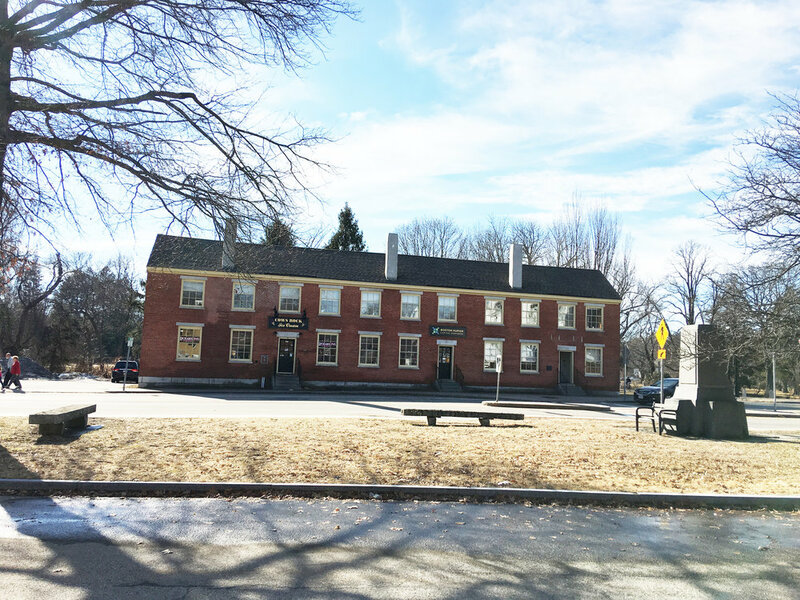 The Brick Store block was erected as a real estate investment by wealthy North Andover investors. 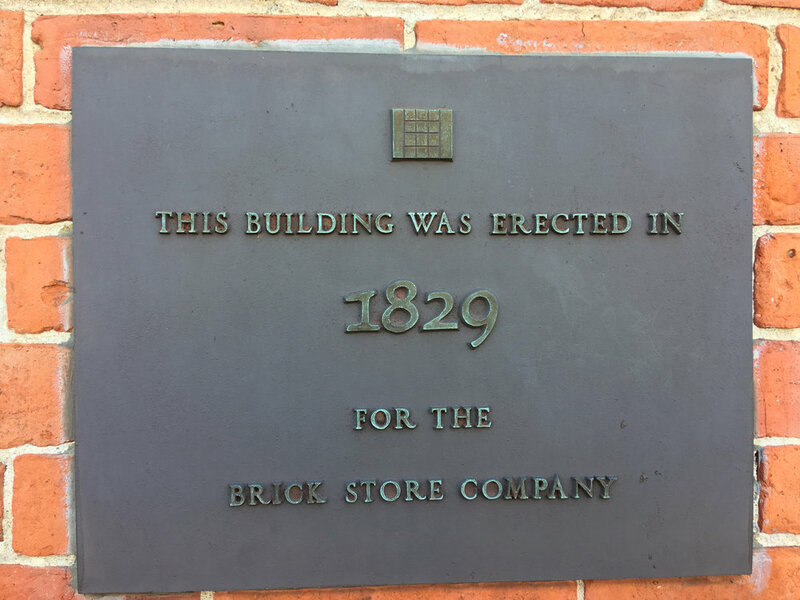 The Brick Store Company of Andover North Parish designed the building to house a pair of stores and three or four shops or offices. The principal backers were Isaac Osgood, a retired court officer; Dr. Joseph Kittredge, whose farm survives today, and Moses Foster, who was at one time one of the richest men in Massachusetts. In 1948 Kate Hastings Stevens, who was much interested in preserving the historical landscape of the old Center enticed her relatives into buying all the shares. Subsequently in 1959 her nephew Horace N. Stevens, Jr. enticed them all to donate their shares to the North Andover Historical Society. The Brick Store Block was the heart of the Old Center community. 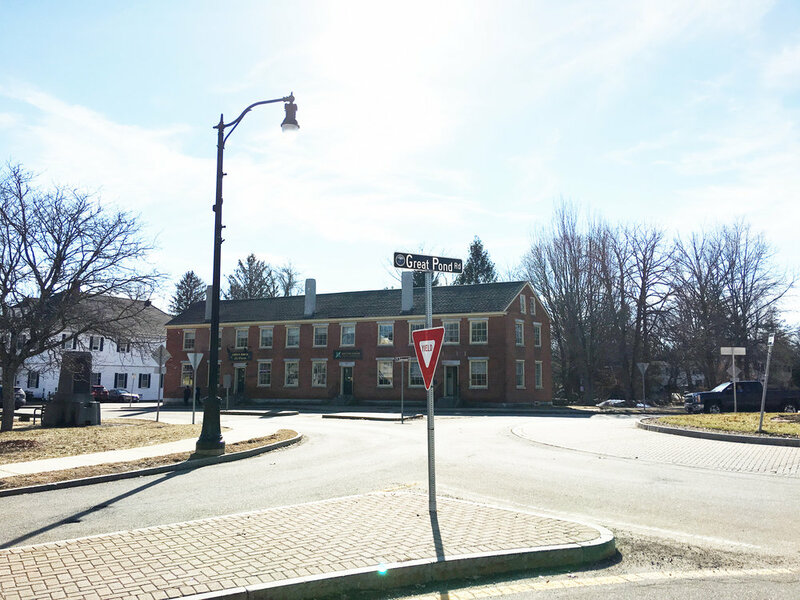 It has housed a Lyceum; The Essex Bank; Hiram Berry's School, the Cochichewick Lodge of the Masons, the North Andover Post office, the North Andover Thrift Shop, Jay Enright's General Store, and today Cows Rock Ice Cream Shop as well as many offices. This two story red brick building with granite trim has an urban flavor dominates the smaller wooden buildings that surround it. It was a hundred years before another brick building was built in the old center.